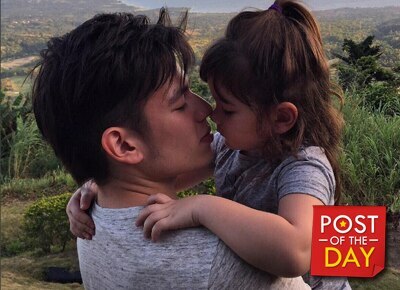 Ever since Jake Ejercito admitted in public that he’s the biological father of Andi Eigenmann’s daughter Ellie, he has been more vocal about his love for the child. 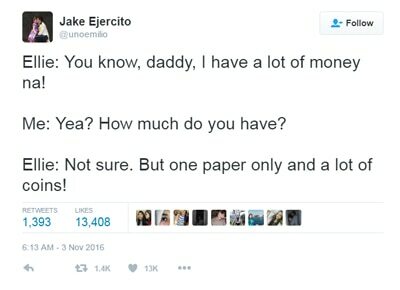 He recently posted his conversation with Ellie on Twitter. However, Jake’s photo with Ellie last Halloween irked Andi’s mom Jaclyn Jose. “I'll slay all your dragons for you, my princess,” wrote. Jaclyn left a comment and said, "She will always [be] a princess before you and will always be. I slayed all the dragons before you. You could have slayed the dragons before this. But you chose not to. You can't all of the sudden slay. You do not have the tool."